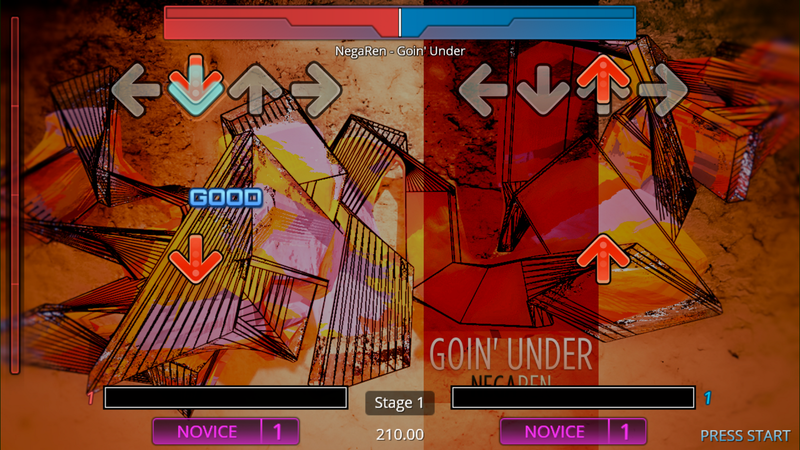 StepMania is a rhythm/music video game, similar to Dance Dance Revolution. It has many nice features and even supports a dance mat and multiplayer mode. I removed the RPi specific code and made a few extra changes. The original version was stucked to Window Mode and a 640x480 resolution, i changed the code so it always goes fullscreen and uses the Desktop resolution. It still seems to have some minor issues, some of the shaders seem not to work correctly. Still it works rather well and has native OpenGL ES support. Thank you for this port. Just in case someone is facing the same issue, if you make a personalized profile the game will hang (and the entire system would be unresponsive because of ram full) after each song. You can delete the created profile to make it playable again. @maveric , have you a repository with your modifications (I would like to take a look at this issue)? nope haven't uploaded it yet.. but i can push it to my github i belive. As far as i know the port is incomplete as it is, so it's probably no wonder things are still buggy. Anyway I'm uploading the sources to my github right now, so you can check on the code there. Thanks for sharing, i love new games to try. Awesome! I'm so glad to finally see this here! Challenging but good game! The game was compiled on and for Debian, so it's not really a wonder you encounter issues with Ubuntu. Can you list the missing dependencies? Maybe it can be fixed on Ubuntu. It's easier for me to just post the entire output of apt. E: A problémák nem javíthatók, sérült csomagokat fogott vissza. Bit of translation: "de az nem telepíthető" means "but it can't be installed"
i reacted too early. Installed that missing package without any problem, and now it works. thanks for your support! do you plan to compile Stepmania 5 also for arm64 to be able to run this game on Odroid C2, please? It would be nice to have such game also on arm64. Or is there a source code of stepmania-odroid package that I would try to compile it by myself? Thanks in advance. When I'm back from my vacation (probably around Monday) I can try compiling it for the C2. The sources are available on my github. I've tried building it, but it's not working yet.. there were quite some complications here and there. Missing arm64 options as well as a lot of changes for ffmpeg to work, but that was more or less the easy part. So that's where I'm struggling at the moment. I think you better try to patch that driver out, as you will have a hard time to convert that low level driver to 64bits galore (plus, have a parallel port on a ODroid is probably not super common). let's see what other issues will pop up or if the game actually works. ok, good news.. 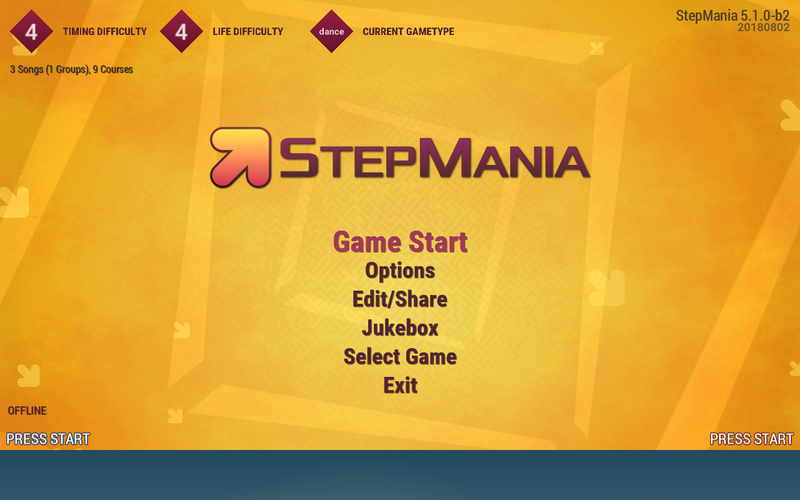 I was able to build a working version of stepmania, but I need to do some code cleanup for that. Give me a little while and there shall be a ODROID C2 version of it. you're amazing. Thank you for your job. Unfortunately I am not able to test it now because my Odroid C2 today returned weird I/O problems which looks like the hw problems (because I have tried four different sd cards with the same results), so I am going to put in on a warranty claim. Hope to have a new piece of C2 soon to test your great job. Hello everyone I'm new here and I managed to install Stepmania on my Odroid XU4 and it runs very smoothly but I been having a really hard time adding songs. I just can't seem to figure it out. Could you guys help me add songs to stepmania? Oh wow thank you so much finally I can have a nice compact ddr machine for my living room. Great to see a more recent version of stepmania on ODROID, good work! When I start it on my U2 everything seems to work fine. But after some minutes in menu or after playing a song the graphics seem to freeze. I still hear the backgroundmusic and can blindly navigate in the menu, but the graphics on the screen wont change anymore. Has anybody else seen this problem? When it works it's fantastic but like the above poster mention it can freeze. Well it's a development version originally created for the RPi. On my tests it was always working and never freezing, but to be honest, I haven't played it for very long.. only two or three songs at a time, never more. I have a weird issue when adding song packs some packs work fine but when I try to add Xtreme 3 pack the songs are not being detected and I'm not sure why. Is there something that I'm missing or the game doesn't like certain song packs. 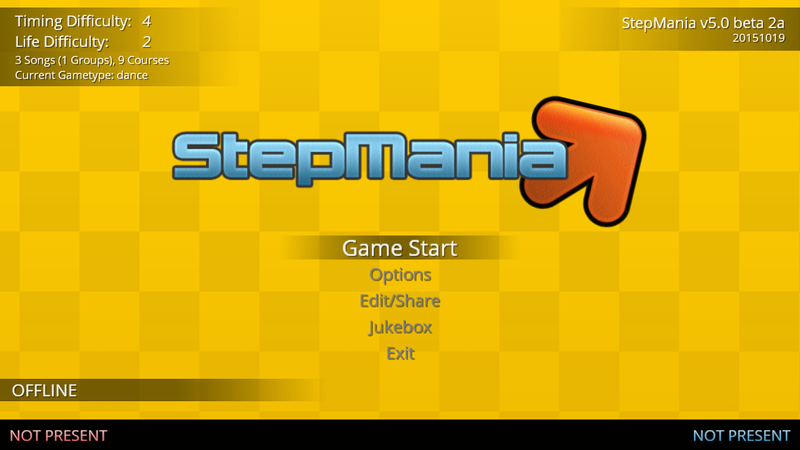 Also, is there a way to have Stepmania be the first thing to launch when you turn on the device? Pirate wrote: I have a weird issue when adding song packs some packs work fine but when I try to add Xtreme 3 pack the songs are not being detected and I'm not sure why. I'm actually not sure, I'm not that deep into the game or the design of the game to answer that question, maybe someone else can. 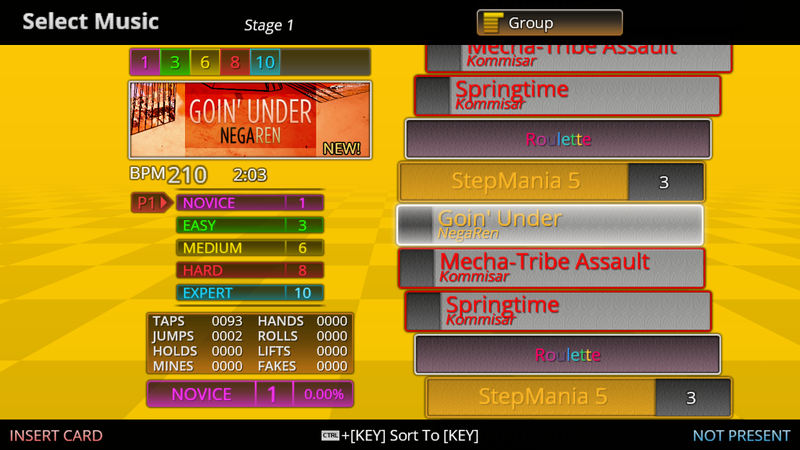 Pirate wrote: Also, is there a way to have Stepmania be the first thing to launch when you turn on the device? 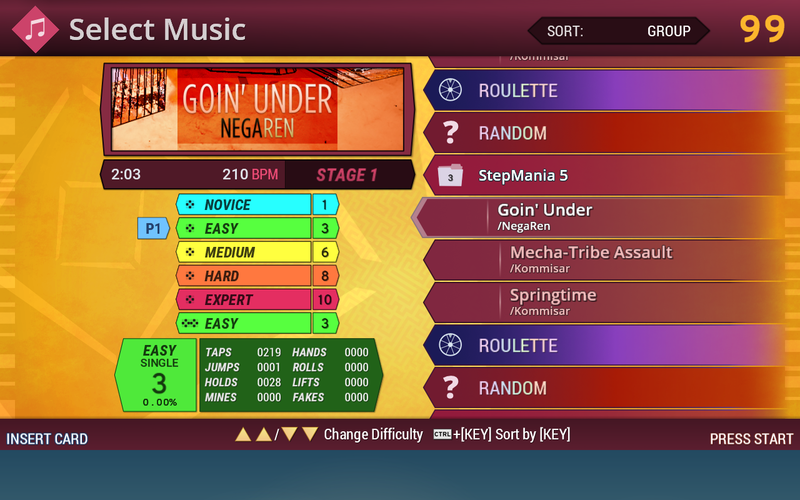 You should be able to add stepmania to the startup applications. There are a couple different ways to do so. search for "Startup Applications" in your settings menu and use stepmenia_start as the program that should be started. Should be easy to find other guides on the internet on how to start programs automatically. I've updated the game to version 5.1 Beta 2 but it now uses OpenGL renderer instead of OpenGL ES. I'm using @ptitSeb's gl4es to run in on ODROIDs which should work fine.